Nothing Will Ever Be the Same NowAnd that's a good thing. Jesus is back from the dead! This isn’t “new” news but it is still just now dawning on many skeptics and seekers. And when it dawns on them… everything changes. Once you come to grips with the reality of Christ’s resurrection and bow the knee before him as the risen King, nothing can ever be the same. We have a new hope. We experience a whole new power. This Sunday is Easter Sunday – the day we traditionally set aside to focus on the resurrection of Jesus. This year, we’re kicking off a new teaching series called Never Be the Same Again. We’ll explore the stories of five encounters Jesus had with friends and disciples after his resurrection and see how those encounters changed their lives forever. I can’t wait to see what God does over these next five weeks!! I have challenges for you – read carefully! Invite people! Share this Facebook video on your timeline and get the word out! Greet people! If you’ve been attending more than a month or two, you can greet others, help them find their way, direct them to the kids’ check-in area and the coffee, and help them find a seat. To officially become a greeter, email Leslie and Martha Brown and let them know you’re in. One of the things I love about my Grace Hills family is how well you guys do when it comes to hosting the community. Let’s go all out this weekend – make room for others to park close, to sit in the back, and to get the most they can out of their experience. Also, we’re baptizing!! If you or someone you know is ready or has questions, click here! And email me to let me know. Above all, pray for the weekend! This Sunday’s message is especially written to communicate the good news of the resurrection of Jesus to seekers and skeptics who are still on the fence about what to do with Jesus. 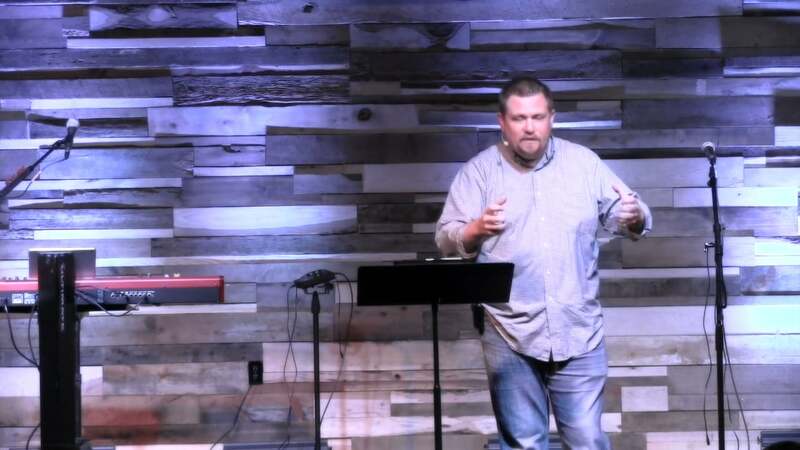 Brandon Cox serves as Lead Pastor of Grace Hills Church. He and his wife, Angie, began planting Grace Hills in July of 2011. His role is to lead and love the church. Brandon also serves as Editor and Community Facilitator for Pastors.com and Rick Warren's Pastor's Toolbox, one of the largest online communities for Pastors globally. He is the author of Rewired: Using Technology to Share God's Love. Brandon and Angie have three kids, Ella, Sam, and Drew.